In 2001, the NOMMA Board of Directors organized the NOMMA Education Foundation (NEF) exclusively for charitable and educational purposes as defined in the Internal Revenue Code section 501(c)(3) and in the Foundations articles of incorporation. 1. To provide quality education for business owners, managers and workers in the ornamental and miscellaneous metals industry. 2. To engage in all lawful activities consistent with the preceding purpose of the Foundation primary of which, is to raise money to carry out these activities. There are important reasons for both NOMMA and NEF to exist. 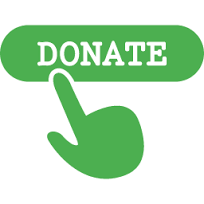 Individual donations to NEF (auction item or money) may likely be tax deductible as a charitable contribution, whereas donations to NOMMA would NOT be tax deductible as a charitable contribution. NOMMA may not receive grants or other funding from government agencies, NEF may. Even though NOMMA may give money to the foundation, the foundation cannot give money to NOMMA, except for reimbursement of services rendered, such as a management contract. Funds may not be co-mingled at any time for any reason. NEF’s trustees are elected by the NOMMA Board of Directors. As NEF trustees we understand that the NOMMA Board has bestowed upon us a charge, more specifically a TRUST. The NOMMA Board expects that the NEF trustees will be responsible keepers of the mission and purpose of NEF as well as be good stewards of the funds that we administer. As good stewards of finances it would be unwise of us to spend all of our funds by the end of each year with no thought for the future. As a sound management practice, NEF makes every effort to have two years of operating capital held in reserve. NEF has special projects that are ongoing. If you'd like to support NEF by being generous with a few hours of your time just reach out to any Trustee listed at the left or email NEF@nomma.org or call the office 888.516.8585.